Minnesota Senator Al Franken announced his resignation today after a wave of women came forward with stories of his sexual misconduct. Franken’s resignation came a day after almost all of his fellow Senate Democrats—led by his female colleagues—began calling en masse for him to step down. For now, Minnesota Governor Mark Dayton will appoint a temporary replacement to fill Franken’s seat. But there will be a special election for the seat in 2018. Whoever wins that racewill serve out the last two years of Franken’s term. Then there will be another election for a full term in 2020. All of this raises the question: Who should run for the seat when it opens up? 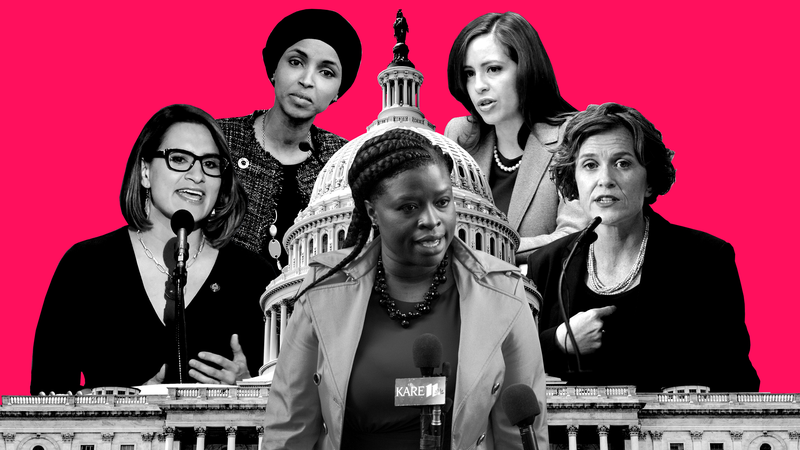 We did some brainstorming and came up with this preliminary list of women—some political pros, others exciting outsiders—who would make Minnesota, and the United States, a better place as a senator. There are, of course, plenty of good men who could run (Keith Ellison, anyone?) but honestly, what better way to upgrade from an accused sexual abuser than by putting a woman in his place? Here are our picks. A rising star in Minnesota politics, Flanagan is relatively unknown nationally, but she has staunch progressive bona fides. After working on Paul Wellstone’s 2002 Senate campaign, Flanagan spent eight years training activists as part of the Wellstone Action advocacy organization named for the senator after his death. Elected to the Minnesota House of Representatives in 2015, Flanagan, a member of the White Earth Band of Ojibwe, has authored a number of pieces of legislation aimed at helping Native communities. She has also worked to increase employee-provided childcare opportunities and food shelf program funding. In 2016, Flanagan made her national debut speaking at that year’s Democratic National Convention. She was later named a candidate for lieutenant governor as part of Congressman Tim Walz’s 2018 gubernatorial campaign. In 2016, Omar won a seat in the Minnesota House, becoming the first Somali-American Muslim woman elected to public office. Since assuming office, Omar has already faced her fair share of racist and anti-Muslim abuse—a dynamic that would only be ratcheted up in a statewide race. Conventional wisdom would have you believe that white Minnesotans living outside the Twin Cities would have trouble voting for someone like Omar, but that’s not necessarily based on any evidence. Consider that the Iron Range in the northern part of the state voted overwhelmingly for Barack Obama in 2008, and that Obama outperformed Franken in the area. With the right message, Omar could galvanize young, diverse city dwellers and older, white union workers alike. Franzen was born and raised in Puerto Rico and attended the University of Minnesota. After working in public relations, she ran for the State Senate in 2012 and won. She now represents much of the southwestern suburbs of Minneapolis. In 2013, Franzen introduced a bill that would allow undocumented immigrants to receive in-state tuition rates at public universities. In 2015, she sponsored legislation that would cut red tape between doctors and health insurance companies over prescriptions. And in the wake of Hurricane Maria, she formed a coalition to raise awareness of the devastation in Puerto Rico and to advocate for aid. Hodges has served as the mayor of Minneapolis for the past four years. She notched at least one big progressive victory during tenure as mayor: the city passed a $15 minimum wage, which will go into effect in 2024. The Vatican also invited Hodges and other city leaders from around the world to discuss climate change and human trafficking with Pope Francis. While Hodges emphasized racial equity in her platform, police reform activists have questioned her commitment to those platitudes, particularly around the fatal police shooting of Jamar Clark, an unarmed 24-year-old black man, for which no criminal charges against the officers were brought. Last month, Hodges lost her re-election bid to 36-year-old Jacob Frey, a lawyer and City Council member who promised to increase funding for affordable housing and make police more accountable to residents. Nekima Levy-Pounds is a lawyer, professor, and Black Lives Matter activist who served as the president of the NAACP’s Minnesota chapter. She led the protests in the wake of Jamar Clark’s death in 2015. In 2017, she ran to replace Betsy Hodges as mayor of Minneapolis, finishing in fifth place. If she were to run for the Senate, Levy-Pounds would be one of the most radically progressive statewide candidates Minnesota has seen. Unfortunately, that likely means the state’s political establishment would be hesitant to give her the resources she’d need to run a viable campaign. Despite having no significant experience in politics, Reynolds has emerged as one of the most compelling Minnesota voices in the struggle for racial equality and criminal justice reform after her boyfriend, Philando Castile, was shot to death by police officers in 2016. Reynolds, who first became known name for her astonishing composure as she filmed Castile’s death, has since made a number of public appearances where her calls for justice have resounded. As co-creator of The Daily Show in 1996, Minnesota comedian Winstead helped usher in our modern era of joke-driven political comedy. But she has also become a political force, having served as a host on the short-lived Air America radio network (ironically, Franken was also an Air America host, but we still have a good feeling about Winstead) and co-founded Lady Parts Justice, a progressive advocacy group that focuses on reproductive rights and women’s health issues. Who would you like to see run for Franken’s seat? Sound off in the comments!